When Ben Landau and Lucile Sciallano from Melbourne studio Alterfact decided to start 3D printing ceramics, they didn’t just buy a 3D printer, they made one. 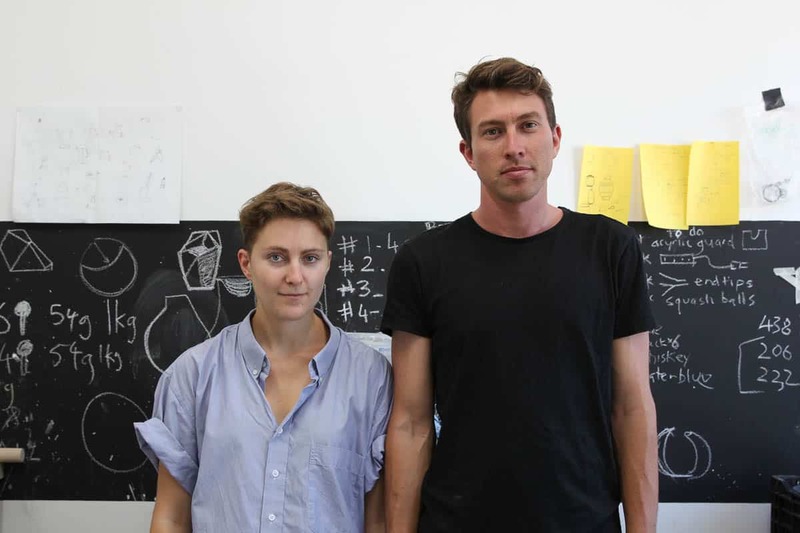 Australian Design Centre Creative Strategy Associate Penny Craswell reports. Ben Landau and Lucile Sciallano from Melbourne-based studio Alterfact first met while studying at the Design Academy Eindhoven in the Netherlands before moving to Melbourne to start their own studio designing and making 3D printed ceramics. Their time at the famous design school instilled in them the idea of starting from first principles. For example, explains Ben, if you want to work with plastic, you first ask how to make the plastic, rather than just buying it off the shelf. “I think it’s a really different attitude to where things come from, how they’re made and raw materials – and that extends to technology as well,” explains Ben. So it makes sense that, when they decided they wanted to try 3D printing in clay, they started by building the machine itself. They sought advice from their tutors at university, Belgium-based studio Unfold, who started 3D printing with clay as early as March 2005 and, by 2010, had created a digital potter’s wheel, which allowed users to “sculpt” a spinning virtual cylinder on screen using their hands as they pass through a laser before being printed using a coiling technique. 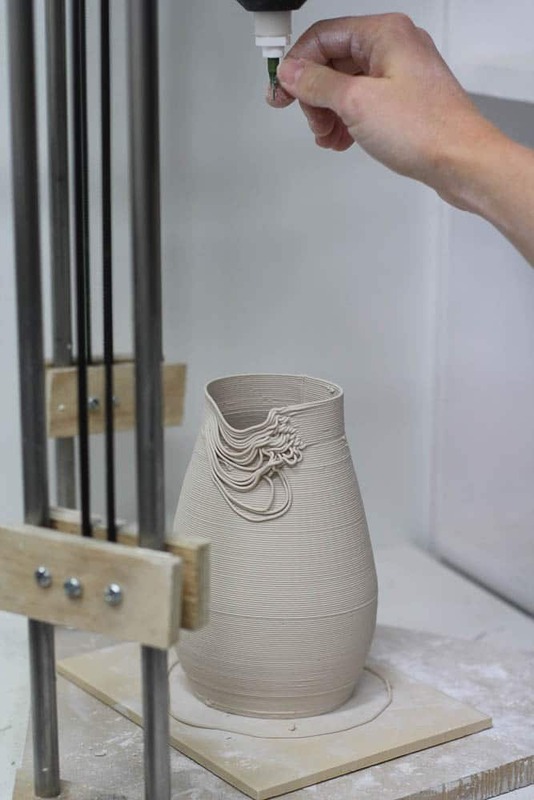 Unfold’s advice to Ben and Lucile was to build their own 3D printer using an open source design called Lock Stock Delta by British ceramicist Jonathan Keep. “They said ‘you have to build your own because you’ll know how it works, you can fix it, you can improve it’,” says Lucile. Starting from scratch, the pair began to build their first 3D printer using their own savings to buy materials and equipment (1500 AUD approx), including parts cut from timber and steel, 3D printed in plastic and ordered off the internet, as well as the digital technology required. It took about a month to build and they advise that skills required for the physical build include woodworking, metal finishing, fitting components and electrical soldering. 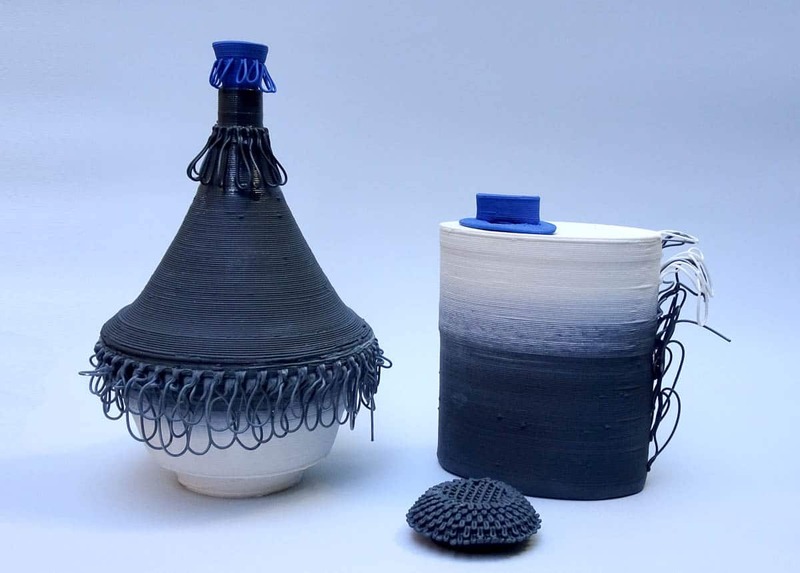 For the tech side, reading code, uploading programs and 3D modelling were required – and for the clay side, a process of experimentation with different mixes resulted in a porcelain mix with 10% water for best flow and sticking consistency. Once the first machine was built, the design process could begin, with many designs starting with a sketch from Lucile before being 3D modelled by Ben. Some mistakes resulted in interesting design features, such as ornamental coils, that were kept and refined. “Sometimes something collapses and we really like how that looks,” says Lucile. “I like things which are unplanned and the happy accidents.” But it’s not just about playing with forms and clay – the objects themselves are beautiful and distinctive with a particular aesthetic that is recognisable and covetable. This is in large part due to the team’s values, which include originality (making things that are impossible or difficult to print through other means), authenticity and high-value materials with high-intensity colours. Technically speaking, Alterfact’s improvements on their first printer have led to a second and a third printer, an extruder that uses air pressure, and they are now working on a mechanically-driven extruder. Ben credits a large part of their success in 3D printing to the online community, which is constantly working to improve the existing technology: “The more people that are taking part, the more it has developed.” It is this passion for DIY tech, a learning by doing approach, that is integral to the success of Alterfact, adding to the indefinable quality that sets their work apart. We try and make things which are impossible or difficult to print through other means. For instance, if we print a plain cylinder, we’re not pushing the boundaries of what is possible through traditional ceramic production – rather we are reducing the quality. A cylinder is much better made through non-digital technologies like slip casting or throwing. We keep the evidence of the object’s manufacture in the object to ensure a sense of authenticity. For instance, we never wipe away or (rarely) glaze over the lines which come from printing layer on layer. We sometimes still use a ‘seam’ which shows where the printing head jumps up a layer. 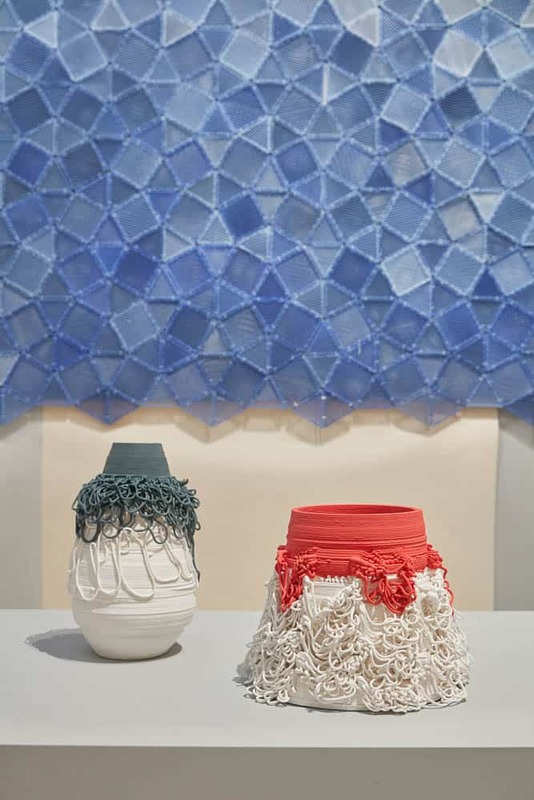 Connected to authenticity, our work sometimes talks about the hand of the maker, which is required to adjust the print as it is made. 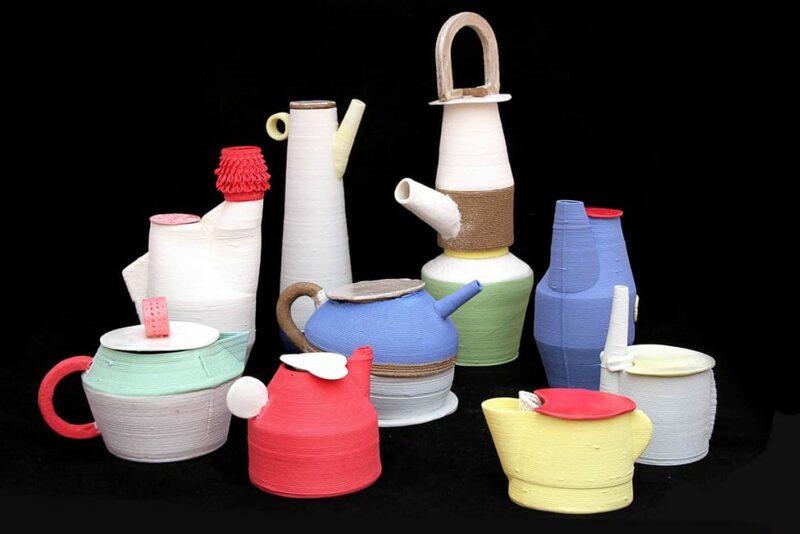 Further, we print several pieces and assemble them into one object, extending our capacity to make a variety of shapes and showing our skills as ceramicists, not only printers. We imbue our objects with a high value, by using the finest materials like porcelain and high-intensity stains (colours). We use 3D printing with clay to start conversations about how technology assists and limits our understanding of craft, art and design.